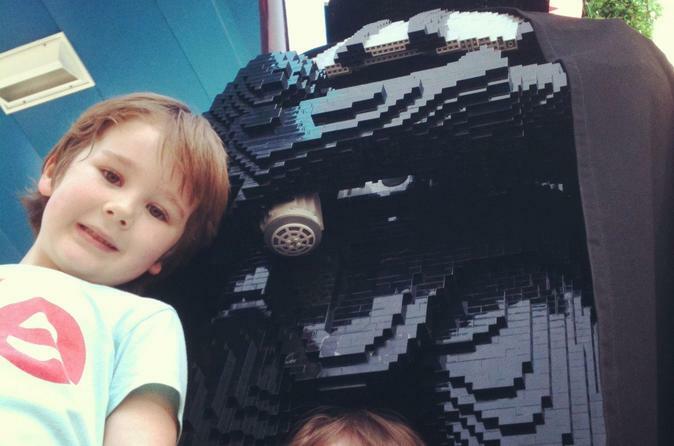 Admission to LEGOLAND California with optional SEA LIFE Aquarium visits with 2nd day free! Test your Ninja skills when you experience LEGO Ninjago The Ride! Make new friends at LEGO Friends Heartlake City. What a great day to spend with the kid, riding rollercoasters, playing with LEGOs and walking around in the beautiful San Diego area. Highly recommended for families with children our daughter is 10! Easy day in a clean and well organised theme park. Great for the children with fun rides and not too long to wait on any queue we didn't bother to get priority tickets. Plenty of good quality fast food places to eat. Not much to do for the grown ups apart from admiring the Lego constructions which were excellent - but then it is for the kids! I really enjoyed every minute. This park is mostly for the younger children but does have a few attractions for the older ones. The best part for the adults besides watching the children have fun was the food. We ate at multiple different places inside the park and did not have a bad meal. We found a wide variety of ethnic foods, fair/carnival type foods and snacks all delish. My only negative comment is to watch the prices you are charged as we had a couple of problems with being charged different prices from one end of the park to the other finding out later that ALL lego sets are priced the same. We did make management aware but you should be aware too. Great time just hanging out as a family. Mom, Daughter, Son, Granddaughter and Mother in Law. A fun time was had by all. A little on the hot side but the restaurants were great at giving us cups of water and not having us drink out of water fountains. I'm a lego enthusiast so a five star review may seem like a given, but that aside, there is something for everyone to enjoy. Lots of building stations with lego pieces for the kids to play with and Miniland USA with loads of hidden easter eggs to find. As always it is a pleasure to book through Viator. Legoland was great for the small children that were in our group and it was not a fast paced park, so the adults were able to relax as well. The Hotel resort is great, the themed rooms, buffett meals, entertainment for the children and an added bonus, the entertainment in the lift! We went for a joy ride many times just for the fun experience. We really enjoyed our day at LEGOLAND. HOWEVER the initial tour we booked (LEGOLAND including transport from San Diego) was cancelled at short notice due to insufficient numbers. We did then however rebook just entry tickets and made out own way there. The Viator staff were very helpful is changing tickets and refunding money. 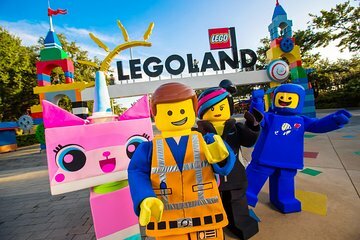 NOTE: Actually getting to LEGOLAND from San Diego is a mission from San Diego via public transport so start early to make the most of the day. There is no direct transport from Carlsbad Poinsettia to LEGOLAND and this is highly disappointing. LEGOLAND and MTS should get their act together. Great park amazing lego cities. I pressed for time though would probably forgo for the bigger parks Universal, SeaWorld, Disneyland but great for lego lovers.